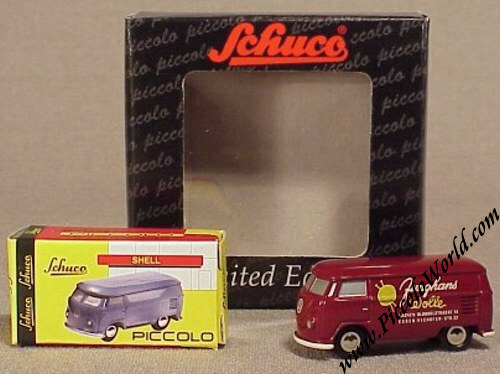 Schuco Piccolo Volkswagen Bus Junghans Wolle Scale Model. 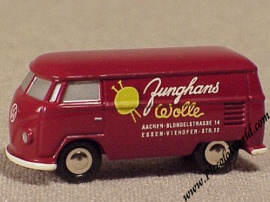 Issued in March 2002, this Bus was made for "Junhans Wolle" as a promo. The bus is Maroon with elaborate "Junghans" print on both sides. It is a limited edition of 1,000 pcs only.